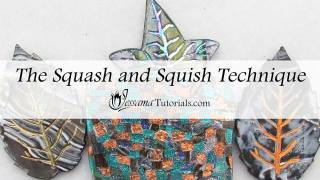 Produce unique and interesting effects using the Squash and Squish polymer clay technique. 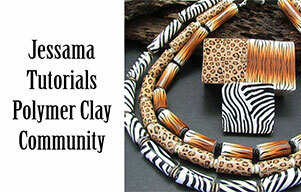 It's a great way to use up your leftover polymer clay veneers and you'll get a different result every time. 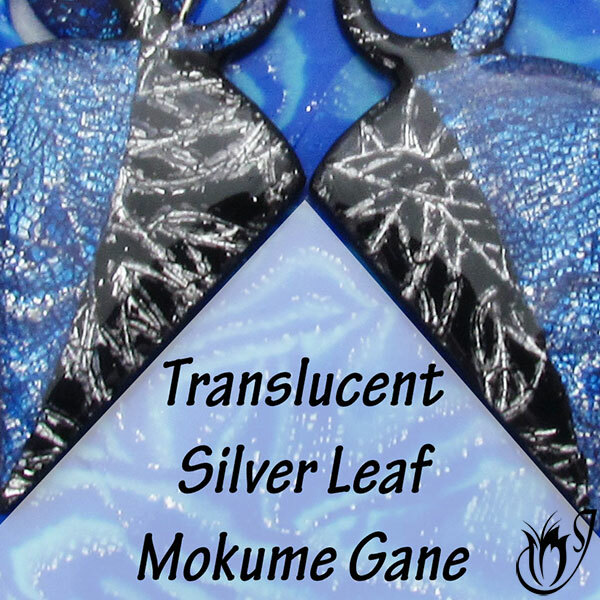 In this tutorial I'll be using up the scraps from my Metal Leaf Pendants Tutorial. 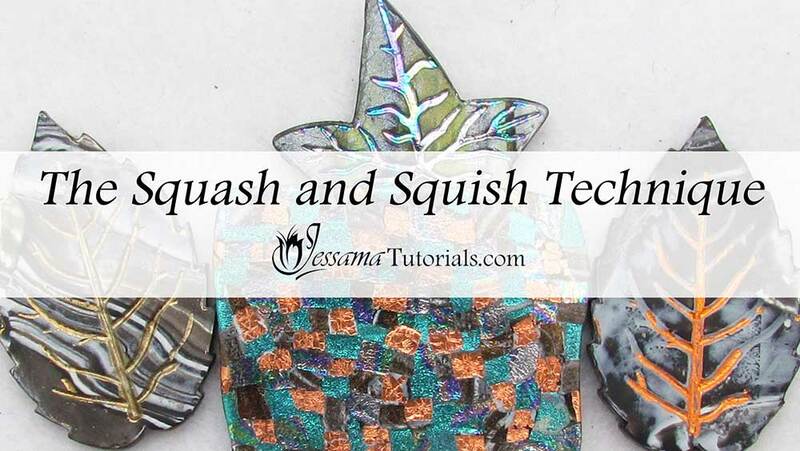 This technique can be used with just about any polymer clay sheet scraps. You could even create special veneers just to use with this technique. It's fun and produces a great effect. Who knows what looks you could get by playing around with this technique? 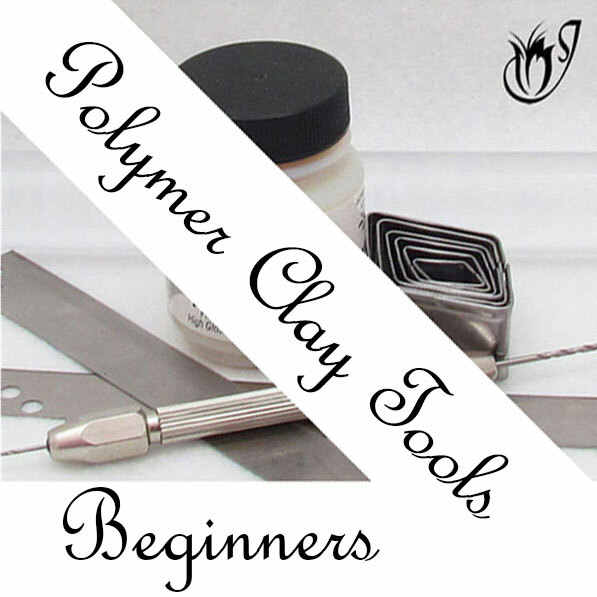 For this polymer clay technique you’ll need two or more polymer clay sheets or veneers. You don't need big pieces so it's a great way to use up leftovers. Pat your chosen clay sheets gently onto your work surface so that they stick. Cut the sheets into small squares using your tissue blade. Just cut them into strips and then make perpendicular cuts to create the squares. They don't need to be perfectly shaped. 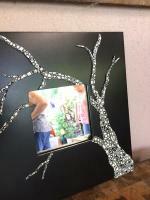 You can even use the oddly shaped edge pieces. Separate your sheets out into pieces. 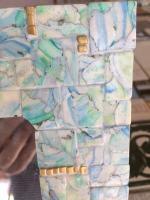 Begin to place pieces from alternate sheets together randomly to form a messy, non-symmetrical mosaic effect. Continue until you have used up all of your squares, or until you have created a big enough sheet for the polymer clay project you have in mind. 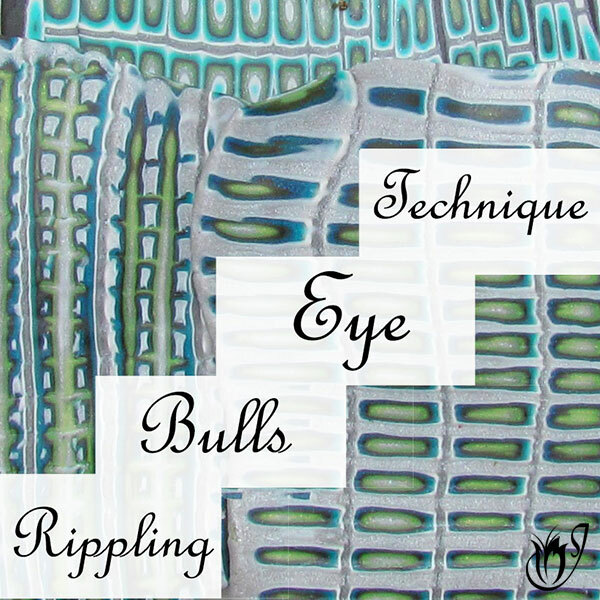 Gently squish the pieces together from the sides using the edge of your tissue blade to create one squared up sheet. Don't worry if the squares get distorted a little. Roll over the top of the sheet lightly with your acrylic roller to flatten it out. Square it up again using your tissue blade and roll flat gently again. And that's it. 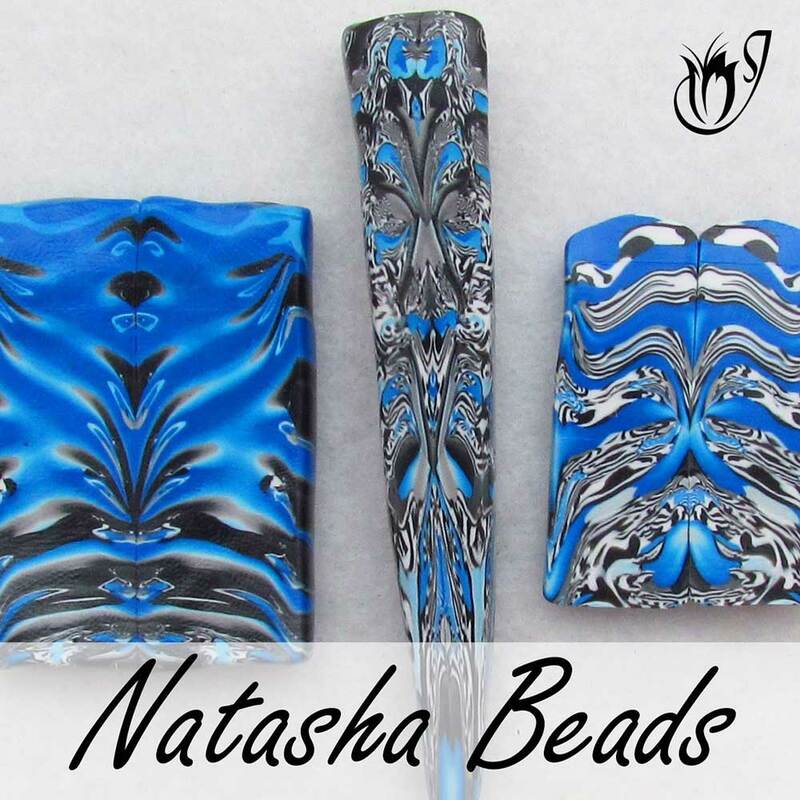 A simple, fun and versatile technique that can be added to any polymer clay project. Have fun messing around with different veneer combinations to see what effects you can come up with.